How Can LTL Shipping Benefit Your Business? LTL shipping services are a great option if you have a small shipment to send out. It is true that not every business will need to send out large shipments all of the time. There will be instances when a smaller shipment needs to get somewhere. 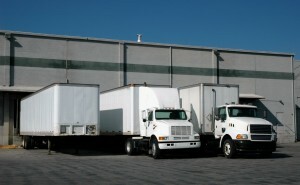 However, these small shipments cannot be put off while waiting for a full truckload. Nevertheless, clients and customers are still expecting their packages to arrive in a timely fashion. Businesses can take advantage of the benefits of less-than-truckload (LTL) shipping to get their smaller shipments to their destinations quickly and in a cost-efficient manner. LTL shipping logistics relies on coordinating with different freight carriers to save businesses money. The pricing of your shipment will depend on several factors. What type of shipment it is, its weight, and the distance it needs to travel will determine the price of the shipment. Because these expenses can usually be pretty costly, LTL shipping is a way for businesses to get their products to clients and customers in an efficient, cost-effective manner. Moreover, the benefits available to traditional logistics such as expedited shipping and arrival notifications are also available for LTL shipments. Finding a carrier to manage your LTL shipping needs and negotiating the best price can be a burden, especially if you don’t already have relationships built up with these carriers. In addition, one of the most important characteristics you need to find in a carrier is flexibility. Your needs are bound to change throughout the year, so you’ll need carriers to be flexible. The solution is to work with a 3PL company such as AFP Global Logistics! By working with us, you’ll have access to a large network of resources, carriers, and professionals who will work with your budget and timeline to ensure that all of your shipping needs are satisfied. AFP Global Logistics can handle your shipping needs so you can focus on your business! For any and all of your full-service freight forwarding needs in Baltimore, Maryland, Washington, D.C., and beyond, look no further than AFP Global Logistics. We provide a full range of shipping and logistics services, and our 25 years in the business have given us the tools we need to create customized logistics solutions that are tailored to the needs of each client we serve. We have what it takes to provide superior shipping and logistics solutions in Washington DC, Maryland, and the greater Metro region that your business needs to thrive. For more information or to start designing your own logistic solutions today, get in touch with AFP Global Logistics at 410.590.1234 (toll-free 800.274.1237), email us at info@afplus.com, or fill out our quick and easy contact form here! This entry was posted on Thursday, January 19th, 2017	at 4:09 pm	and is filed under Domestic Shipping, Shipping Methods	. You can follow any responses to this entry through the RSS 2.0	feed. Both comments and pings are currently closed.